Professional Backing Plate For Rotary Machine Polishers. 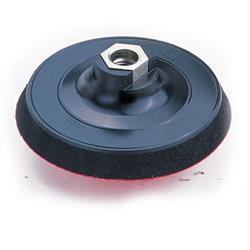 The Flex Velcro Backing Plate offers a 12 mm cell rubber which allows for even pressure distribution when carrying out paint correction and finishing. Great size with that perfect flex so as to allow you to be in control but to stop you going in too hard.